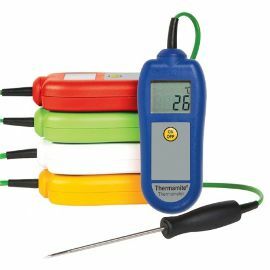 This thermometer is ideal for the catering and food processing industry as part of an HACCP plan. The handheld readout comes with on/off button and hold function. It requires three AAA batteries. Includes two years guarantee and traceable calibration certificate.